Most first time home buyers are not sure what to expect when it comes to securing a Duluth home loan, especially where credit is concerned. If you are considering applying for a mortgage but have questions about how your credit score could affect your chances of getting approved, it’s best to reach out to a mortgage professional, like myself, for advice and guidance before you complete an application. If you want to do more research on your own before contacting a professional, the best place to start is checking your own credit score. This number is extremely important to know, as it can dictate many aspects of your mortgage. The sooner you are familiar with your credit score, the more of a chance you will have to work on improving it before you apply for your mortgage. Once you have pulled your credit score, you can compare your number with the numbers that are required for the types of mortgages you are considering. Depending on where your credit score falls, you may need to improve your credit, which is not the end of the world. There are many steps you can take to start improving your credit right away! Review your credit report to make sure all the information is accurate. If you see outstanding debts that you don’t owe, or if there is any other inaccurate information, you can get those removed from your credit report. Make sure you take care of this right away to avoid any issues that may slow you down later in the process. In addition to getting any inaccurate information removed from your credit report, you can improve your credit score by paying your bills on time and paying off as much of your existing debt as possible. If you don’t have much credit, opening a new credit account can be a great way to start building some. Just remember to stay well below your spending limit and avoid opening too many new accounts. Give me a call today to discuss how your credit score may be affecting your mortgage options or to get the process started on your Duluth home loan today! When it comes to Duluth home loans, what you qualify for and what homes fall within your price range can both potentially be effected by local and national real estate trends, which is why local real estate statistics can be so helpful when you are beginning your home search. Once you have been pre-approved for your mortgage, you will have solid idea of what your loan amount will be, which will give you a great starting point for your search. Use this amount as a strict maximum price. You may even decide to add in a buffer, just in case. Getting a price range set is an important part of the house hunting process, and doing so accurately will help you when it comes time to apply for your mortgage and close on your new home. Once your price range is set, it’s a good idea to research the local market to find out what types of homes will fit best in your budget. At the beginning of last month, the median sales price, as recorded by a reputable real estate website, was $269,950. This price is just under $33,000 more than the median sales price of homes that was recorded by the same website in June of last year. This is consistent with a growing economy and the typical peak in home prices during the summer months. Last year, the median sales price peaked near the end of August. The vast majority of homes that are for sale in the Duluth area are priced within the $129,000 to $258,000 range. With 42.7% of homes falling into this category, the next largest group of homes, with 27.6% of the market, is priced within the $258,001 to $386,000 range. From there, the, the price range drops down to $65,001 - $129,000 for the price range with the third largest volume of homes. If you are interested in purchasing a home in the local area, your first call should be to a trusted mortgage professional, like myself! I will be there to answer any questions you have about Duluth home loans and to get the pre-approval process started. Give me a call to get pre-approved for your home loan today! 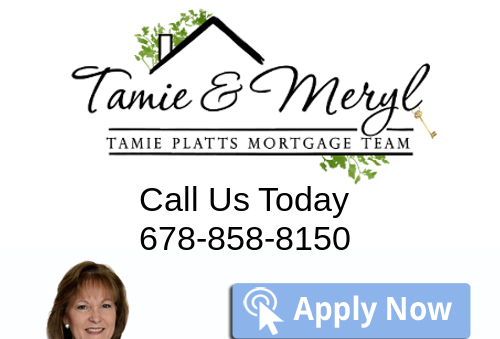 Are you interested in purchasing a home in the Duluth, GA area? If so, having the most up to date information about the local real estate market can help you with decisions you will be faced about what home you are going to purchase as well as your home financing options. Between May and August of this year, prices were still up from both 3 months and 1 year ago. The table below shows a breakdown of median sales prices for residential properties and how they have fluctuated over the last year. As we head towards the end of the year, the Duluth market has started to see drops in both median sales price and the total number of sales. According to recent reports, the median sales price of homes in the local area has continued to drop since reaching new heights of close to $290,000 in July of 2017. While the drops in median sales prices haven’t been significant, they do provide Duluth buyers with some much needed relief from prices that have been consistently increasing since April of this year. The total number of sales has also decreased since spiking in July, which is normal for this time of year. As we look back at sales trends over the past few years, sales typically drop as the market approaches winter and pick up again as it turns toward summer. As an experienced Duluth mortgage professional, I am dedicated to helping my clients secure the best financing options for their mortgage loans. By combining my expert knowledge of the mortgage industry and information similar to what you see above, I advise my clients to the best of my ability, saving them money on their mortgage and helping them affordably finance the purchase of their dream home. Give me a call today to find out more about how the local market can affect your options or to get your mortgage loan application started today!